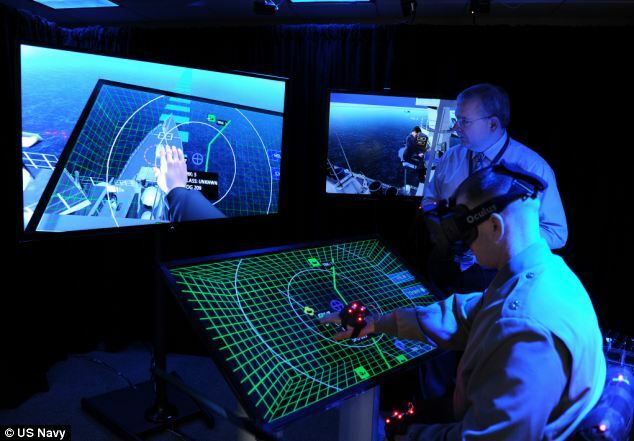 The US Navy has given a glimpse into the future of war - and it has gone virtual. In this stunning image researchers show off the first attempt at a virtual ship's command centre. Using the Oculus rift headset, it shows a soldier on a virtual ship.